*Disclosure - page contains sponsored links. Please see our full disclosure for more details and thanks for your support. Hello and welcome to our site! My name is Galadriel Grace and our family has been homeschooling over 20 years and have six children, including a set of twins. So, as you can imagine we’ve been pretty busy over the past several years. 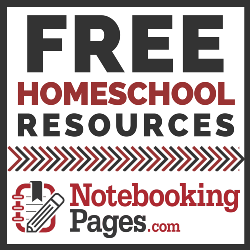 We have a bunch of great resources for your homeschooling endeavors to add – including history supplements, worksheets, copywork, pages, a lovely planner and lots more. Our first few years we didn’t have much for homeschool curriculum – mainly because we didn’t know where to get it back then – we didn’t belong to a co-op, we didn’t know any other homeschoolers, no internet, no Facebook – we were on our own. To solve that problem I ended up creating most of it myself on notebook paper from our already growing, massive library of old books. When we first started we didn’t even have a computer, but I did get a copy machine, so many of the materials were hand written, then copied onto plain paper for my eldest – including hand-drawn maps, alphabet pictures and anything else I could think to include. I spent hours making stacks of pages for my eldest daughter, in between nursing an infant, and having so much fun doing it. She was reading at age 4 and well beyond her grade level by the time we made it through first grade. I was completely convicted in homeschooling and never looked back. 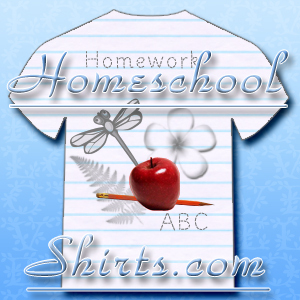 Our other homeschool website is HomeschoolShirts.com where we have a variety of apparel for homeschool kids, Moms & Dads. 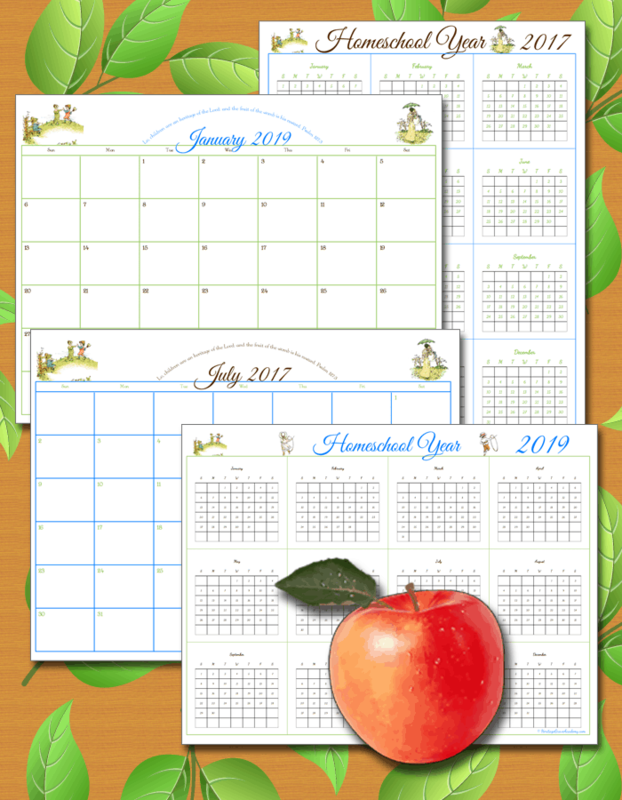 We have created the Awesome Homeschool Planner which is a 300+ page homeschool planner and it’s available for purchase HERE through CurrClick, or by clicking any of the pics below. 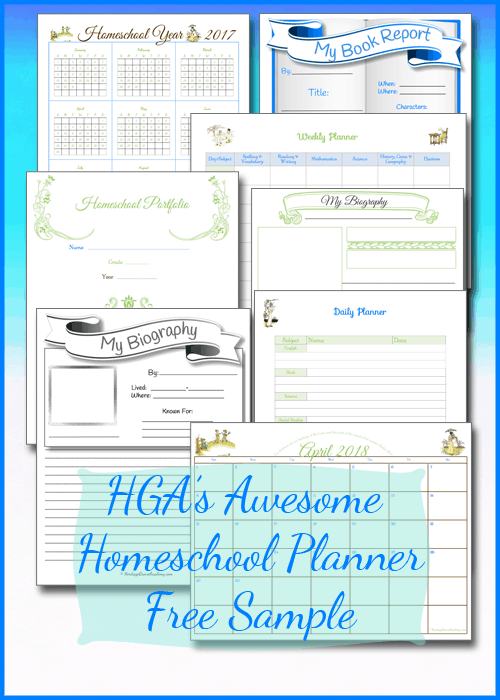 I created a homeschool planner after years of using different methods, adding a bunch more kids to our homeschool, and lots of trial and error of what worked and didn’t. 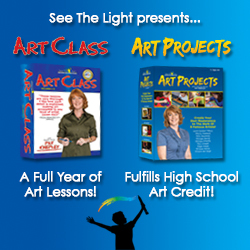 One of my favorite things that I added was the yearly course plan – it saved us a lot of frustration with curriculum buying and made things really fall into place. 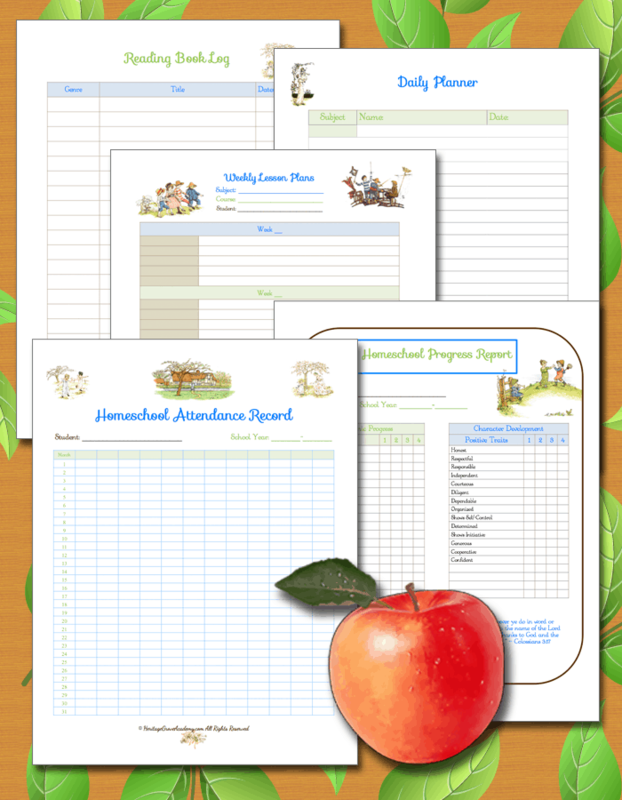 Our homeschool planner has pages for daily, weekly, quarterly and yearly planning so that you can use any or all of the pages to personalize your own home education program planning. 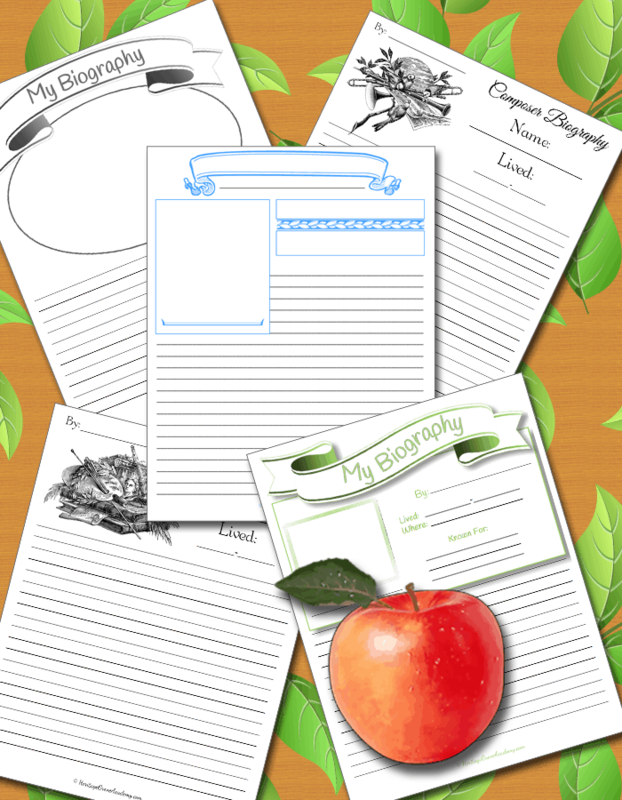 We have included several different student pages to use in your home school as well including: several different biography pages, book report starters for all ages, spelling and vocabulary lists, Greek and Latin root words pages – (to be used with English from the Roots Up – or your own program), root word trees, along with portfolio covers and spines. 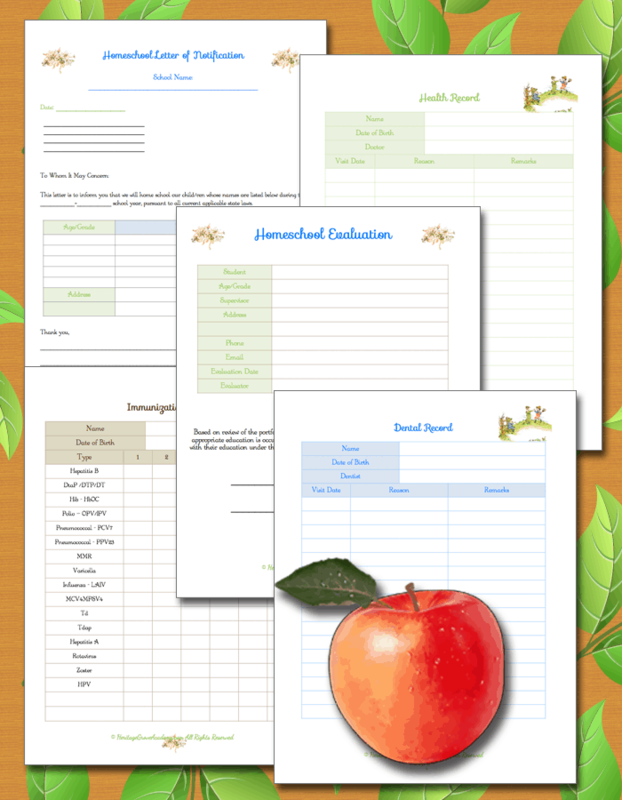 Pages for you include: planning pages, objectives pages for each subject and a yearly objective page, immunization records, medical and dental records, evaluation form, yearly and monthly calendars, chore charts and schedules all for you to mix and match as you want. Also included are some tips and ideas for organizing your home education program, some homeschool things to remember and other thoughts. There are over 300 pages, and we’re sure you’ll get a lot of use out of them for your family. We wanted to make a planner that is both useful and affordable, without a lot of fluff, so that’s just what we did. 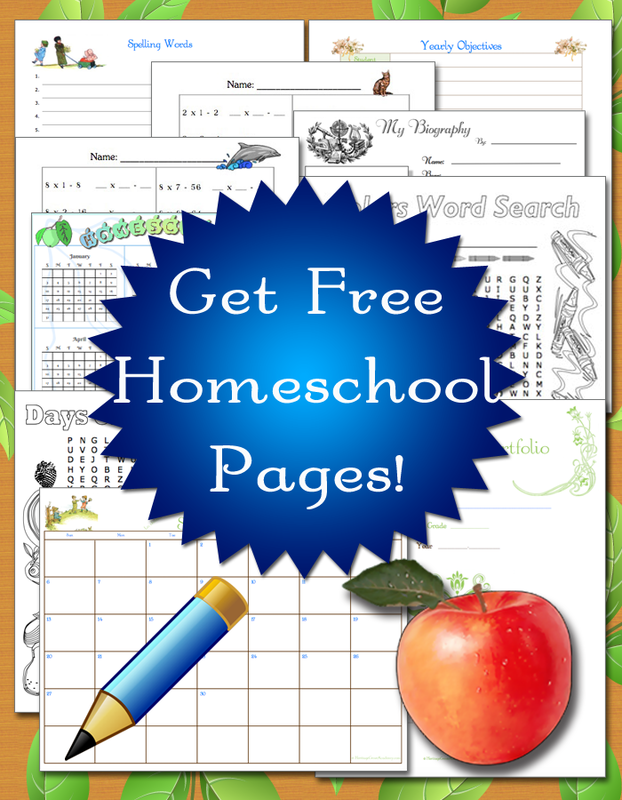 We’ve been homeschooling for over twenty years and we have been through many different types of trial and error planning, these are the same pages that we created to use for our own homeschool. If you’d like a sample of our planner – please go to This Link. We offer our products at CurrClick because it’s often an easier and more worthwhile shopping experience for many homeschoolers and you get a free update every time our products are updated – especially great for the calendar pages in the planner. 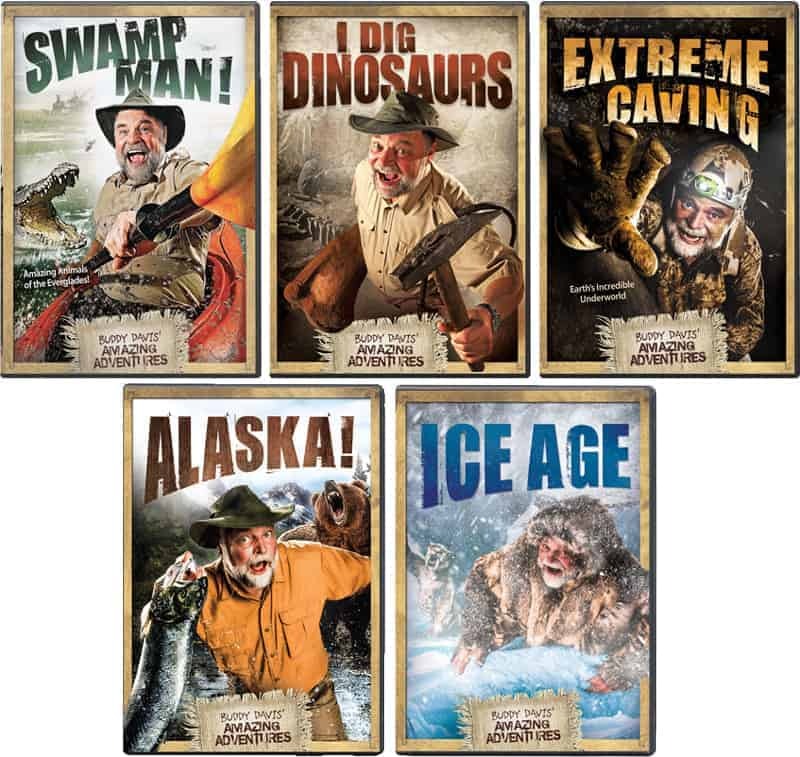 It’s one of my favorite places to get a wide variety of curriculum for our home education program. You can purchase and download products from hundreds of homeschool publishers, all with a single transaction, while supporting other homeschoolers who also offer affordable, quality products. So be sure to take a look and look for more of our products to be added. 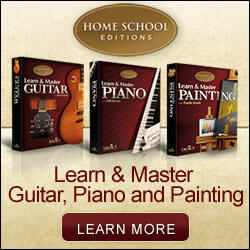 I Want Awesome Homeschool Stuff! 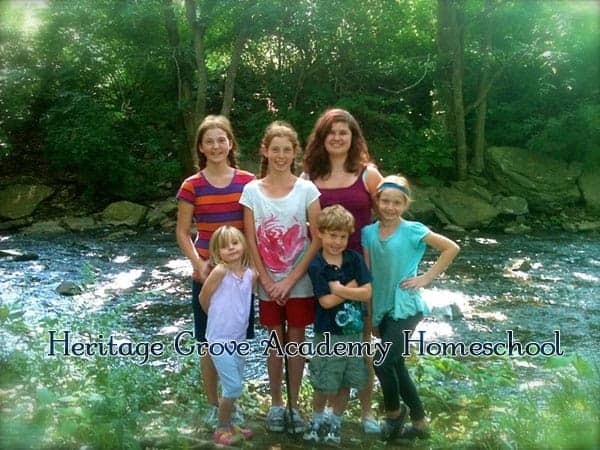 Visit Heritage Grove Academy Homeschool's profile on Pinterest. Copyright © Heritage Grove Academy.com 2010-2019.